The content of a website should be updated frequently and relevant to the present. Design of the website can remains same but its content should be fresh always. AxisTechnoLabs offers you Content Management Systems that are flexible and automated so that you can check the content from the time it is created till it is deployed. 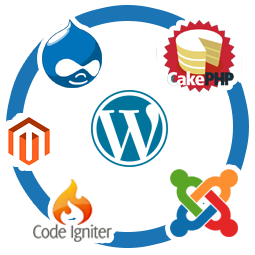 At AxisTechnoLabs we use CMS to build complex dynamic web sites to meet your business requirements. AxisTechnoLabs prefers to work on open source CMS like Joomla, PHP5, Zen Cart, SugarCRM etc. We can customize any of these open source scripts to meet the needs of your existing web site. Addition of components, modules, plugins, widgets .